There you shall taste those never-ending delights which God has prepared for your consolation and for that of all His elect. There shall the wholesome fountain of God’s garden refresh you; there the overflowing wells of living waters shall revivify you; there shall the abundant delights of the house of God gratify you. There God shall envelop you in virtue and power; resplendent in the brightness of eternal light. After preparing for the feast day of our Holy Founder St Norbert with a novena of prayers and the litany in his honour we gave thanks to God for the Apostle and Choice Vindicator of the Blessed Sacrament with a Solemn High Mass in his honour on the evening of the Sixth of June. 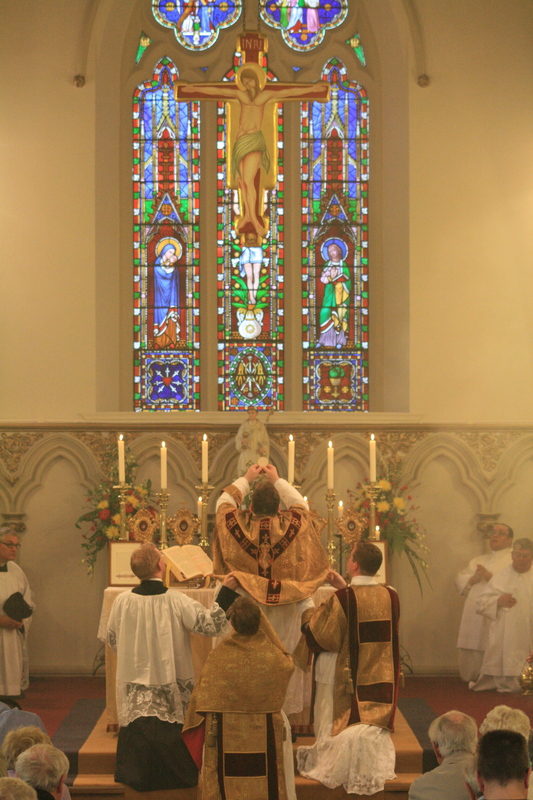 The High Mass was sung by our Prior and superior, Rt Rev Hugh Allan o.praem., assisted by Rev Br Stephen Morrison o.praem as deacon and preacher, and Br Gregory Davies as subdeacon. Joining us in choir along with the confreres were several priests of the diocese and friends of the community including Rt Rev Mons Gordon Reid, Chancellor of the Diocese of Brentwood, and chaplain to the Latin Mass Society. We were also delighted that along with visiting clergy many of our parishioners, and others from near and far, were able to join us at the Solemn High Mass. The Epistle is sung by Br Gregory Davies. In the sermon Br Stephen reminded us of Our Holy Fathers many works and wonders that he performed in his great zeal for souls, and love of our Heavenly Father. Our Holy Father demanded of us care for souls, worthy celebration of the Sacred Liturgy, and prompt and filial obedience to our religious superiors. It was in that spirit that Br Stephen thanked God for our superior, Fr Hugh, that in him we have a father in Christ after Our Holy Father. Moreover it is particularly apt that Fr Hugh whose heavenly patron, Blessed Hugh of Fosse, was the first abbot of Prémontré and faithful disciple of St Norbert. 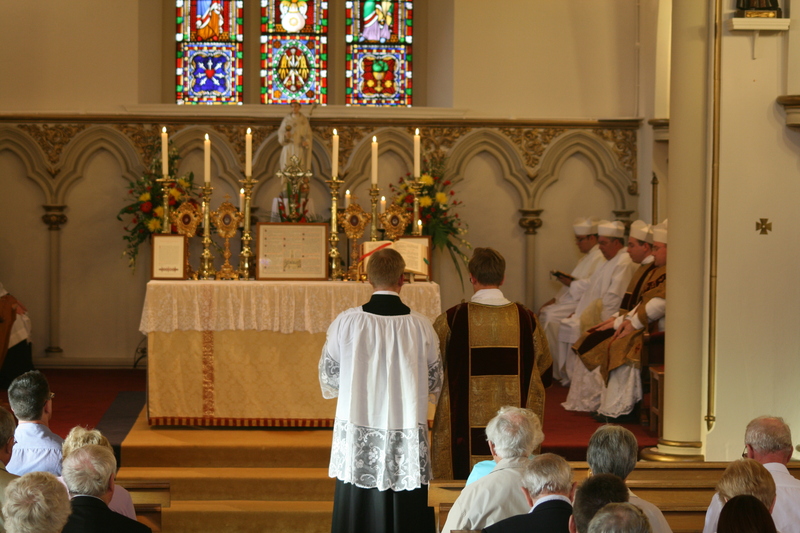 For more photographs from the Mass please visit our flickrstream. This entry was posted in O.Praem Pictures, Parish/Apostolate, St. Norbert. Bookmark the permalink.